Do you like magic and learning things other people don’t know? Yes? Then you’ll love the Thank A Farmer Magic Show! Children of ALL ages are completely engaged while learning the important role agriculture and our farmers and ranchers play in their daily lives. Presenter of the TAF Magic Show is Rhonda Ross Swanson, creator of Thank a Farmer® and its many divisions. Rhonda is from a six-generation farm family and has an extensive entertainment background, having performed worldwide and on numerous television shows including The Tonight Show with Jay Leno. 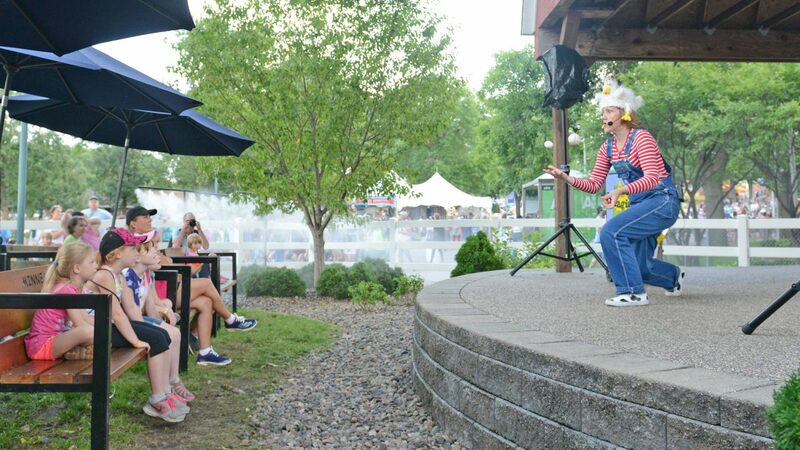 Come be a part of the Thank A Farmer Magic Show – learn while having fun! Thank A Farmer Magic Show is located on the Christensen Farms Stage at the CHS Miracle of Birth Center. See a State Fair map.